This comfortable condo is perfect for your next family getaway. 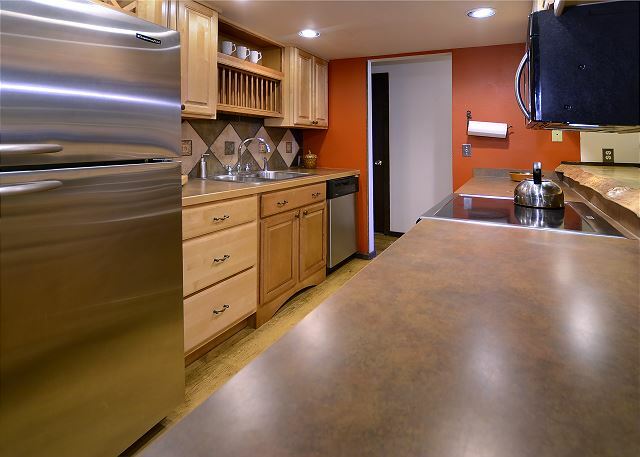 The well equipped kitchen has been remodeled along with both bathrooms. A large, open living-dining area is planned around a massive stone fireplace. The fireplace is wood burning and we supply the wood. The bedrooms are spacious with large closets. Two sliding glass doors give access to the large balcony. Enjoy incredible views of the town of Mt. 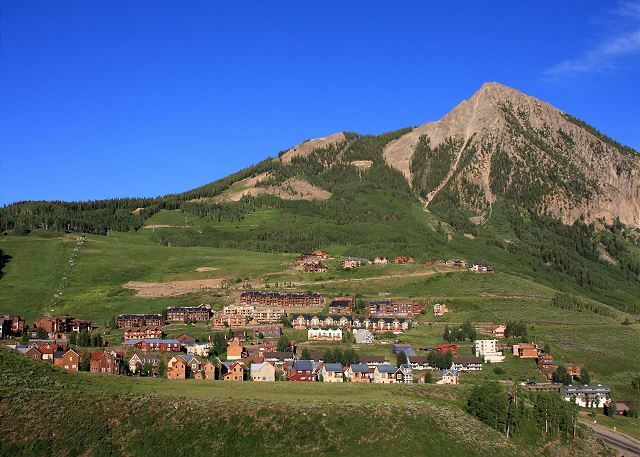 Crested Butte, Washington Gulch, and Paradise Divide. The unit is fully furnished, down to the linens and dishes. 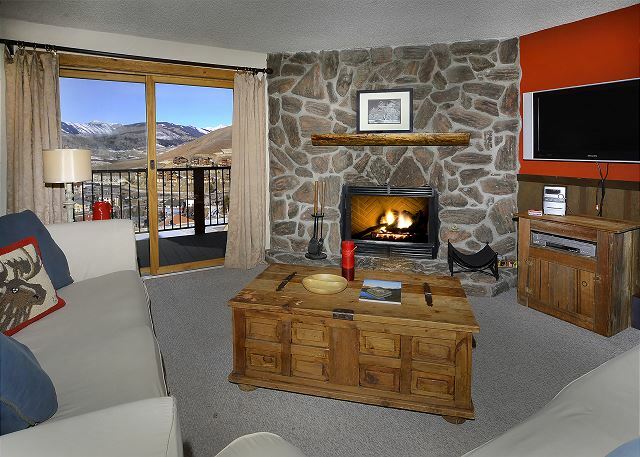 I204 is conveniently located steps from the slopes and trails. The International Building is entered on the 3rd floor. Walk down one flight of stairs and you reach I204 on the 2nd floor. We stayed here for a wedding that was down the street. The location was great for the summer time. It was great to wake up and hop on the mountain to do some trail running. Excellent condo. Plenty of sleeping space. Great furniture. We loved staying here. Fabulous place to stay - we loved it! It was wonderful. Very comfortable, very clean, excellent location. Well stocked kitchen, spacious bathrooms. Lots of furniture with storage. And did I mention clean? It was VERY clean! Loved it. Group of us and our dog visited CB for the first time this year. We had a blast. Condo had everything we needed And a bonus was it is next to the firewood room to use for the fire place. Two things I could recommend is getting mattress foam pads for the two queen bed rooms and adding a shower head extension for people over 5’5. Our only complaint was the mattresses were very uncomfortable and hard.